7020021200 BIstable valve 5/2 1/4inch | DamenCNC B.V.
BI-stable 5/2 valve, Electro Pneumaticaly actuacted. Most often the cheaper 5/2 monostable valves are used. 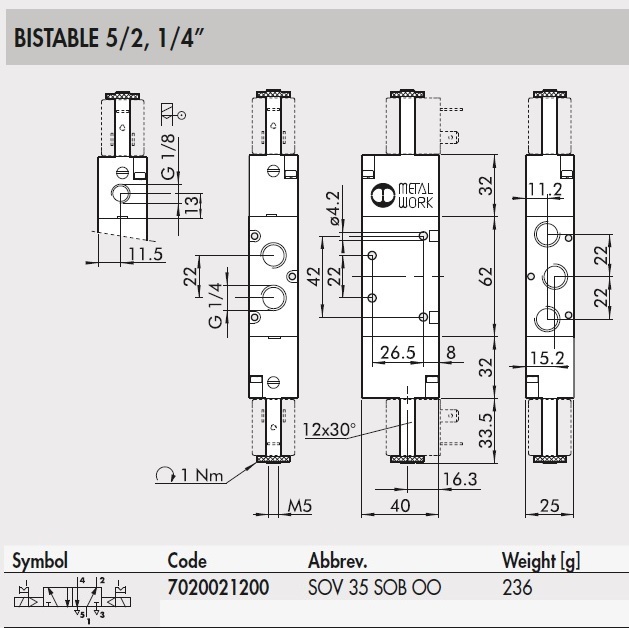 In some application, for some specific technical reason, it could/can be better to use a BI Stable valve.